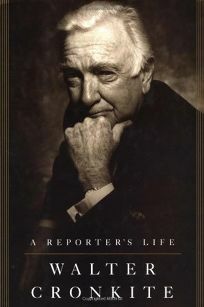 Written with wry, self-deprecating humor, Cronkite's memoir gives us the veteran TV newscaster at his most relaxed and ingratiating as he recounts dozens of his scoops: for example, tracking down and interviewing Takeo Yoshikawa, the Japanese spy who was strategic to the attack on Pearl Harbor, and Daniel Ellsberg when he was in hiding after stealing the Pentagon's secret Vietnam War plans (the Pentagon Papers). Tough-minded, Missouri-born Cronkite, who apprenticed on Houston papers, has been eyewitness to, or participant in, many of the century's momentous events. As United Press war correspondent, he covered D-Day, the Allied air war and the Nuremberg trial. He joined CBS as a Korean War correspondent, and as CBS Evening News anchor for almost two decades (he retired in 1981, pushed out, he says, by a new management more interested in infotainment than substance), he reported on the civil rights movement, NASA's first moon walk, the John Kennedy assassination, freedom struggles in South Africa. Peppered with personal encounters with presidents from FDR to Nixon, plus close-ups of Nazi Hermann Goring, Douglas MacArthur, Castro, Begin and many others, Cronkite's crisp narrative charts the metamorphosis of network television into the defining medium of American consciousness. He also lets loose brickbats on the contemporary scene, bemoaning the ""ridiculously small"" volume of television news and the superficial quality of political coverage (""The debates are a part of the unconscionable fraud that our political campaigns have become, and it is a wonder that the networks continue to cooperate in their presentation""). Photos not seen by PW. BOMC main selection. Available on cassette and CD from Random House Audio. (Dec.) FYI: On November 4, the date this review is appearing, Cronkite celebrates his 80th birthday.